LG is about cramming 16 lenses into a camera in the future, which we guess would make it a hexa-camera. Apparently, with a curved setup, these 16 lenses could capture a photo from several different perspectives, and even simulate movement from a still image. It would also make it easier to replace objects in photos, as per the patent documents, because the phone would be able to capture more information about them in three dimensions rather than just two. Some pretty cool effects might be possible. 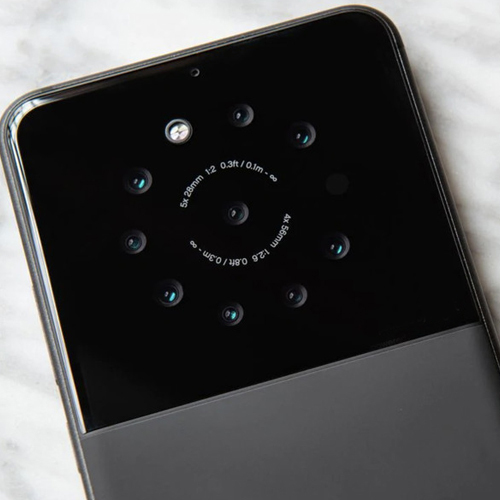 The patent goes on to detail how a mirror and a flash could be placed separately on the back of a phone carrying a hexa-lens camera - to illuminate subjects and to make it easier to take selfies using the rear-facing camera rather than the front-facing one.